NIKKISO is a global leader in the field of canned motor pumps and enjoys a unique position with its wide variety of design options for varying difficult services. They are used to pump hazardous, toxic and supercritical fluids where any leakage will result in health, safety or environmental liability. 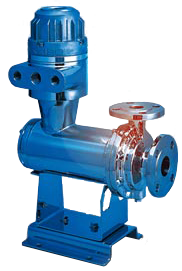 Pumps can be manufactured to meet API-685 specifications. LEWA offers the highest metering accuracy, safety, reliability and efficiency, especially when the handling of critical fluids is required. The ecoflow is the most advanced diaphragm metering pump in the world, and offers maximum safety for production and the environment.